Culture, romance, action and adventure, fabulous festivals, blissful beaches – when heading off on your next European holiday you're guaranteed a good time. Whether you're after bright lights and big cities or the rest and relaxation of a rural retreat, there are plenty of possibilities when it comes to your next LGBT villa holiday. And it gets even better! You'll find the most popular gay friendly destinations in Europe are just a few short hours away from UK shores, which means less time on the plane and more time topping up your tan! Here's some of the best warm and welcoming places to add to your wanderlust wish-list. Hailed as one of Europe's 'Big 4' when it comes to gay summer holidays, Ibiza's buzz and reputation for wild nightlife and outdoor parties cements it as the nightclub capital. Sexual orientation is a non-issue among locals, which makes it a great hotspot and holiday destination. Warm and welcoming in every imaginable way, the atmosphere is all about fun and freedom. The best bars are mostly found in Ibiza town, which is awash with colour and animation thanks to a long standing gay scene. Pride in Ibiza is enjoyed by everyone, not just the LGBT community. A four day extravaganza is jam-packed with extraordinary concerts, festivals, events and sparkle. Fabulous floats with drag queens, outrageous costumes and a riot of colour take the streets by storm. If you're looking for a more relaxed experience of the island, you'll be delighted by all that's on offer! Bursting with natural wonders, this Balearic beauty has far more up its sleeve than bustling bars. Even some of the nightlife hotspots are ripe for mellow exploration in daylight hours. 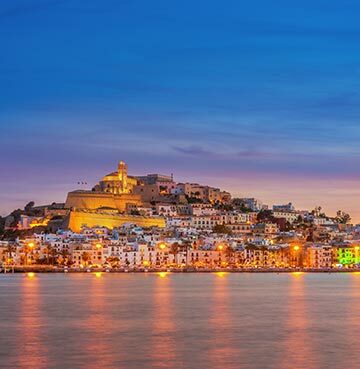 Dalt Vila is a classic case in point and is virtually unrecognisable from day to night. A UNESCO World Heritage Site, it makes for a romantic retreat in the sizzling sunshine. Explore the winding cobbled streets and enjoy heavenly views across the harbour. Sightseeing will leave you spoilt for choice and wondering how you'll pack it all in! Captivating countryside, beautiful beaches, history hunting, wet and wild watersports – there's no end to things to do in Ibiza. For vintage lovers vespa tours are a unique way to explore the island, while animal lovers might prefer a romantic horse ride. Walking and hiking allows you to soak up every second, while food tours have you eating your way around the island! The multi-level, gold and yellow underground world of the Can Marça Caves are a must-see. Stalagmites and stalactites are meticulously displayed in a music and light show that'll put some of Dalt Vila's clubs to shame. Perhaps the most cosmopolitan of all of the Greek Islands, magnificent Mykonos is a wonderful white-washed paradise. A hotspot among celebrities, the island is glamorous and luxurious yet somehow manages to maintain an elegant simplicity. Whether you want to unwind by the lively waterfront or dance 'til you drop in buzzing bars, Mykonos is the place to have your cake and eat it! LGBT nightlife on the island is booming, with an energetic gay bar scene known for fun-filled parties and lavish events. Including the exclusive annual XLSIOR International Summer Gay Festival – a once in a lifetime experience for world-class music and breathtaking venues. If that's all a bit garish for your tastes, gorge yourself on the gastronomic scene instead. The magnificent menus are matched only by the serene settings and perfect places you'll find them in. From international cuisine to traditional tavernas – you're best off abandoning the diet here! It'd be easy to spend your entire stay topping up your tan on the island's sun-baked beaches, but it would be criminal to miss out on the sensational sights. 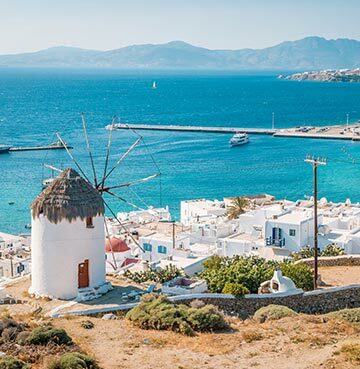 Iconic windmills are the trademark of Mykonos, and are found all along the rolling hillside. The church of Panagia Paraportiana is one of the most photographed in the world, and is the place to be for culture vultures. Made up of five individual churches that were built next to and on top of each other over time. Cyprus is low-key and quintessentially Mediterranean. Year-round sunshine makes this intimate island a godsend when it comes to a tan top up. Not to mention the wild landscape and luscious interior which makes it a mecca for nature lovers. Paphos' golden sands are particularly popular with sunbathers and nudists, as well as the gorgeous Governor Beach on the south of the island. With over 45 blissful bays sporting the coveted Blue Flag you're bound to find your perfect beach day set-up. LGBT nightlife and pride is relatively new to Cyprus, and it's all thanks to the country's growing popularity among the gay community. Although fresh on the scene Pride has become a staple for summer celebrations. Featuring activities for everyone, there's plenty of performance pieces and theatre plays, as well as kids face painting! 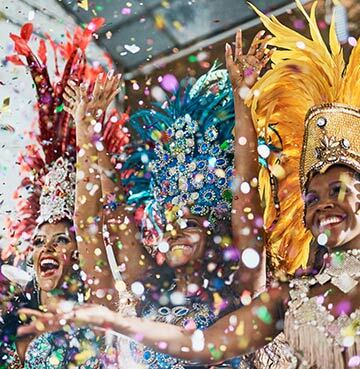 Worlds apart from other festivals, this celebration is easy-going and laid-back. LGBT and gay-owned bars and clubs are popping up island wide and the port of Larnaca boasts some of the best nightlife of the bunch! One of the most opening and warm destinations of all, Malta has a long and colourful history with the LGBT community. You'll find very few in the way of designated bars – which goes to show how accepting and welcoming the Maltese are. 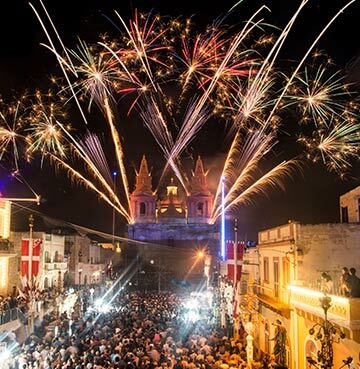 Malta's social calendar oozes with an overwhelming amount of parties, festivals and year-round events. So no matter which month you visit you're likely to experience at least one colour-filled flurry in the streets of Valletta. Friendly locals will happily point you in the direction of cultural treasures and must-see sites around the cities. Plus there are plenty of bucket list day trips to Mdina and Comino's Blue Lagoon. A whirlwind island of fiesta and siesta, the idyllic island of Gran Canaria is fit to burst with scenic beauty and vibrant nightlife. 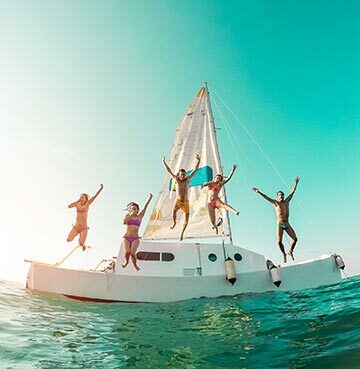 Teeming with more bars and clubs than you could possibly experience in one holiday – the open-minded spirit of the locals makes it a party playground with plenty to do. There's all kinds of fantastical festivals year-round, with every kind of imaginable entertainment ranging from opera to open-air theatre. The Drag Queen Contest of the Carnival of Las Palmas is without a doubt the best of the bunch! People come from all over the world to either take part or watch the show stopping spectacle. You can expect over the top outfits, sky-high platform shoes, jaw-dropping make-up, flamboyant performances and total freedom of expression.